While diving off the Micronesian archipelago of Pulau, evolutionary biologist Giacomo Bernardi witnessed something unusual and was lucky enough to capture it on film. An orange-dotted tuskfish uncovered a clam buried in the sand by blowing water at it, picked up the mollusk in its mouth and carried it to a large rock 30 yards away. Then, using several rapid head flicks and well-timed releases, the fish eventually cracked open the clam against the rock. In the ensuing 20.minutes, the tuskfish ate three clams, using the same sequence of behaviors to smash them. 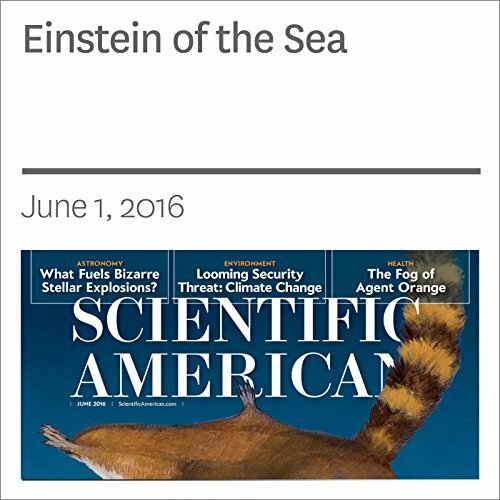 "Einstein of the Sea" is from the June 2016 issue of Scientific American.